Dash is a peer-to-peer open-source cryptocurrency. It is one of the digital coins that have most of the Bitcoin features and on top of that, it comes with some further improvements. The Dash system operates a self-governing and self-funding model that enables the Dash network to pay companies and individuals to work in order to add more value to the network. Among its best features, you can find PrivateSend and InstantSend, which you cannot find in the Bitcoin system. The goal of the Dash system is to function as reliable currency in order to facilitate the exchange of goods and services. Based on the Bitcoin platform and with added features it tries to solve some of the problems that the current financial system has. Currently, Dash is the sixth largest cryptocurrency by market cap and it could continue to rise further. Dash originally started in January 2014 and its name at that time was XCoin. Ten days after the launch, the name had been changed to Darkcoin and in March 2015 it was changed again to Dash, which is a portmanteau for Digital Cash. Evan Duffield is the creator and lead developer of Dash and is the person who had the biggest contribution in the development of the system. Dash had managed to develop tremendously in the last few year and by June 2017 it reached a market cap of $1.4 billion and a daily trade volume of $100 million. The cryptocurrency is a hot subject for online communities, being one of the most discussed subjects. Dash is trying to solve some of the problems Bitcoin has and one of them is speed. Dash transactions are processed within four seconds, while in the case of Bitcoin it can take 10 minutes or more to send money to somebody. The fees are almost smaller in the case of Dash. The average Bitcoin transaction fee is around $6, as compared to just $0.4 in the case of Dash transactions. Dash has also a governing structure in place and important decisions are being made as a result of voting. In the case of Bitcoin, the split that took place last year, resulting the Bitcoin cash could have been avoided if such structure should have been in place. Dash is self-funding, 45 % of the new coins created go to the miners and 45 % to masternodes. The rest of 10% is used for funding the development team, marketing, customer support etc. Can you mine for Dash? How is it mined? Since there are many similarities between Dash and Bitcoin, you can already assume that Dash is a cryptocurrency that can be mined, as well. It uses a decentralized ledger of all transactions. Blockchain security is assured via a consensus mechanism called Proof-of work. People are using specialized computers to solve complex mathematical problems and if they manage to do it, they have the right to add a new block on the ledger and receive Dash coins as a reward. There are three types of hardware you can use for Dash mining: you can mine it with the CPU of your computer, with the GPU or with a more advanced hardware called ASIC. You can mine it individually, by installing a software which is open-source called cpuminer, available on github.com. Also, you can join mining pools and share the rewards with a group of people that also contribute with computational power. Where can I buy Dash? The safest place where you could buy Dash coins, whether you want to exchange fiat money or sell other cryptocurrencies for Dash, is an exchange platform. With the appearance of more and more cryptocurrency the need of places where people can exchange them had arisen. Some of the most popular exchange brokers that have support for Dash are Bitbay and Cex.io. These two exchanged have already been reviewed on our website and you can easily find more information about them by checking our dedicated exchange brokers page. There will find a list of reliable exchanges that have support for Dash and many other cryptocurrencies. How can I sell my Dash? Maybe you are one of those that want to cash out and sell Dash coins for cash or just sell it for another cryptocurrency. You can rely on exchange brokers for selling as well. Besides the two exchanges we’ve mentioned above, Changelly is another platform that already has support for Dash coins. You will find a review of the exchange on our exchange brokers section. Make sure to check the information that is available there in order to find out more about the main feature the exchanges are currently offering to their clients. Which Dash wallet to use? If you want to store your Dash coins in a very safe place, then you will definitely need a hardware wallets. These are the most secure devices which you can use for cryptocurrencies and we can mention here two of them that have support for Dash. We can talk about the Ledger Nano S and Trezor. Both are very good and you can find reviews for each one of them on our crypto wallets page. If we talk about online wallets, then two of the most important wallet providers are Jaxx and Exodus. You’ll find more information about online wallets on you crypto wallets page, as well. 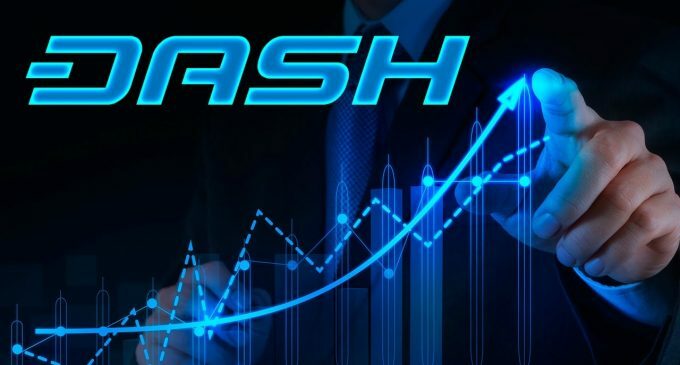 If you would like to speculate on the price of Dash, then you are lucky because there are some online trading brokers that have included Dash on their instruments list. Two examples with that respect are IQ Option and eToro. You’ll find reviews for each of them on our website, as we have a section dedicated to brokers.